We talk about the path that led Eric to this amazing accomplishment and Stacey asks why anyone would even want to do something like this! We find out about blood sugar management, travel issues and how to stay fueled up through seven marathons. Eric is a co-founder of the Diabetes Sports Project which has great information and inspiration for athletes with T1D. And Tell Me Something Good! Parents weigh in on their teens. 1:30 Stacey Welcome, she talks about other extreme athletes who've been on the show. Check out those episodes here. 47:30 Tell Me Something Good! Diagnosed with type 1 at the age of nine, Mark Andrews dreamed of playing professional football. His dream came true earlier this year when he was drafted by the Baltimore Ravens. They kick off their NFL season this week with the preseason Hall of Fame Game. Stacey talks to Mark about his diagnosis and how he manages T1D at practices and game days. Mark also shares how a teenager really feels when his parents worry about those highs and lows during sports. Plus, a South Carolina firefighter gets a big surprise from OneTouch. We'll tell you about Perry Clanton’s Small Victory - he lost 96 pounds after being diagnosed with type 2 diabetes and now he's helping his fellow fire fighters get healthy. And Stacey is one of the winners of DiabetesMine's Patient Voices Contest! She'll be traveling to their Innovation Summit in November. 51:00 A little bit about Benny from summer camp - "A Letter From the Counselor." Playing in the NFL has been a dream come true for KJ Dillon, but his type 1 diagnosis at 19 had him worried his was over before it started. He’ll share how he made it through that tough time and most recently played for Houston Texans. Plus, Adam Schefter has spent his career covering sports, you probably know him as an NFL insider at ESPN. Adam’s wife Shari has type 1 and he’s taking part in a big contest to help JDRF. Contest info and entry here. Stacey & Adam also talk about the Glucagon App. Our Community Connection features a diabetes dad running Chicago Marathon. Wesley Bryant says doctors told him not to run, but he didn’t know when to quit; now, neither does his son. More info on the JDRF team and how to donate here. Shoptalk this week is with Stay Put Medical, a new company that wants to help keep your D-gear stuck. This week, Mike Avery shares the story of growing up in a family of in-demand Hollywood stuntmen, his dad, mom and brothers are all well known in the industry. Mike was diagnosed with type 1 at age 8, when he was already working. Find out how he learned to manage diabetes while jumping out of planes, off bridges and under pounds of TV makeup. Of course, Mike also has to manage T1D in every day life and shares which is harder, diabetes or death-defying movie stunts. Plus, week 4 of our coverage of Bike Beyond. Find out why Ryan Dunn got involved less than two years after being diagnosed. Less than a month after diagnosis in college, Ryan left for China on a long-planned trip to study abroad. Find out how he did it, how to say "diabetes" in Mandarin, and why he became the logistic manager of this cross country trip. 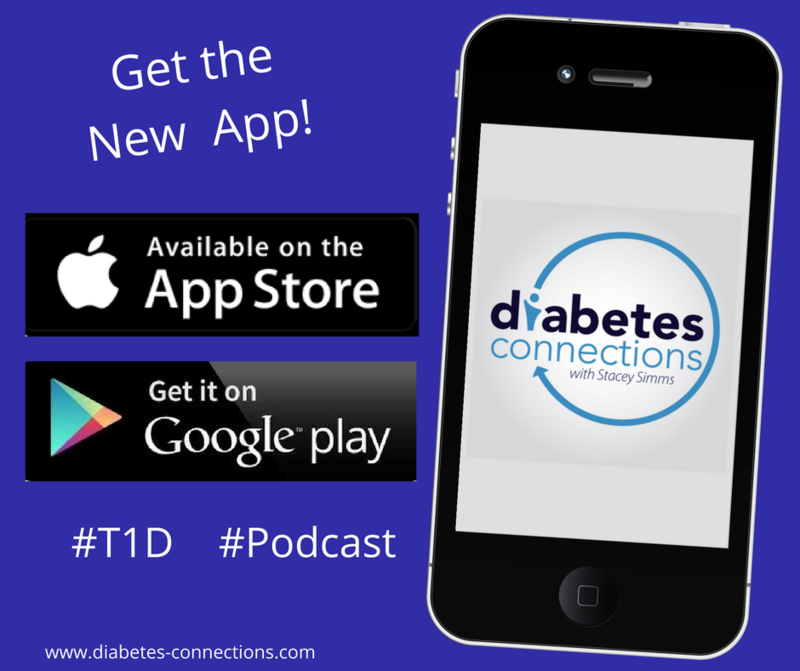 In this episode, Stacey also talks about a visit to diabetes camp from American Ninja Warrior Kyle Cochran and an update on T1D's Marathon Man Ross Baker. Baker is on a mission to run a marathon in every US state (and DC). He just checked off Alaska, leaving only Hawaii to go! Roddy Riddle recently completed one of the most brutal & extreme races in the world. The 6633 Arctic Ultra is a 350 solo foot race through brutal cold, wind and isolation. Dozens enter and only a few finish ever year. Roddy is the first and only person with type 1 diabetes to enter the race so far, and the first T1D to finish it. He had to withdraw from the race in 2016. He shares why he was so motivated to finish and what he learned from last time around that helped him not only make it all the way, but come in second. In our Community Connection this week, we check back in with the Elbow Bump Kid, Logan Merwin. He's raising money for several diabetes causes, including CWD Friends for Life Conference. His big news? He's got a sponsor! We'll talk about how a race truck team got involved. This week's guest is on a mission. Ross Baker wants to run a marathon in every state in the US as well as DC and he is just two states away from meeting that incredible goal. He plans to conquer Alaska & Hawaii later this year. Diagnosed with type 1 at age 19, he was at first told not to run at all, that it would be dangerous for someone with diabetes! He didn’t listen and after running a few races, he felt called to try for something big. This is a story that involves determination, faith and some Bojangles sweet tea. Stacey also talks about "real people sick" and adjusting basal rates to deal with illness (and mistakes she's made in the past). Plus, an update on Jack's insulin allergy.